Like a lot of agencies, Washington-area ad shop White64 is always looking for the next new thing and that includes how to express a little holiday cheer each December. The execution hinged on finding the right talent and the agency found Harry Mack, the California-based freestyle wrapper, who was trending big time after his recent appearance on the Ellen Show, hosted by Ellen DeGeneres. 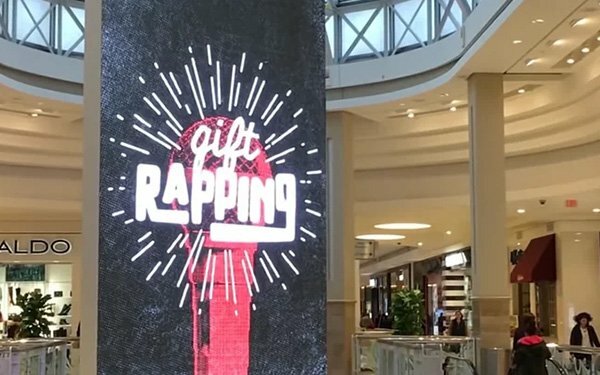 Last weekend, Mack hit Tysons Corner Mall in Virginia and gave the gift of rapping. The agency captured his freestyle flow in a series of “snackable” videos. A site experience enabled “gift rap” recipients the ability to view and download their customized content.